PS. Oh! Enter the contest too!!! Teague reached down to pick up the rose and brought it to his nose to breathe in its scent. His hair was a lighter shade of brown than Jared’s, and his eyes were a deep blue, while Jared’s were a haunting gray. They both had similar angular jaws and drop-deadgorgeous looks. Teague once again was dressed in black, and Mina had a mind to joke about whether he was going to a funeral, but he was, so the words died on her lips before she even spoke them. Instead, she glared at him and held out her hand, demanding the rose without saying a word. Teague reached for her hand, and Mina let him open up her palm to inspect her wound from the thorn. She was still reeling, and her whole body shook with anger. Teague leaned forward and blew on the small cut in her palm, and it healed itself. She ripped her hand from his grasp and took two steps away from him, almost falling on the ground. She needed to keep better control of herself. She was born in Seattle, Washington, raised in Nebraska, has lived in MN, IL and currently lives in Portland, Oregon with her husband and twin children. She’s a former children’s librarian and children’s pastor. Currently she spends her free time penning new novels and a daytime taxi driver for her kids. 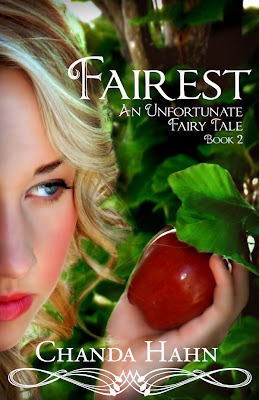 Chanda is also giving one lucky commenter here at The Book Tart and ebook of Fable!!! 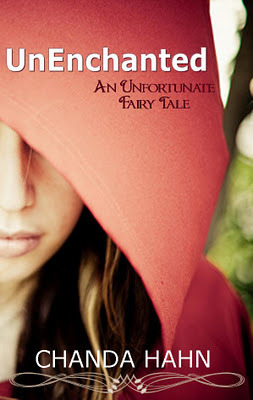 An Unfortunate Fairy Tale series sounds very interesting. I still enjoy fairy tales and retellings. My favorite villain is the Beast from Beauty and the Beast. Thanks for the great giveaway! Awesome giveaway! I saw these books before and they look super good!! Wonderful giveaway. This author is new to me. 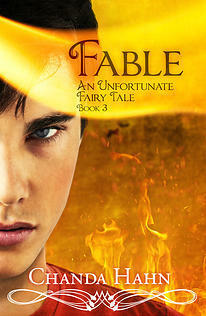 I can’t wait to read: “Fable” An Unfortunate Fairy Tale. I love fantasy books. One of my favorite fairy tales villains is the very mean mother-in- law in Cinderella. I am now following Ms. Chanda Hahn! 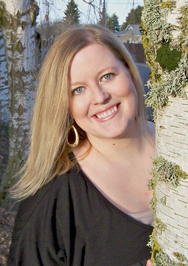 and added your website, (Ms. Chanda hahn), to my bookmarks. OMG!! How has this series slipped by my radar. It sounds like a riveting, suspenseful series. I love fairy tale re-tellings and this one sounds deliciously unique. I definitely have to go back and start from the beginning. My favorite villain from fairy tales is the troll under the bridge in 3 Billy Goats Gruff. Thank you for the giveaway! Previous PostPrevious Google Giggle Hangout with Codi Gary +Spotlight on Things Good Girls Don’t Do + Contest! Next PostNext Book Blitz for Magan Vernon Life, Love & Lemons + Excerpt + Contest!